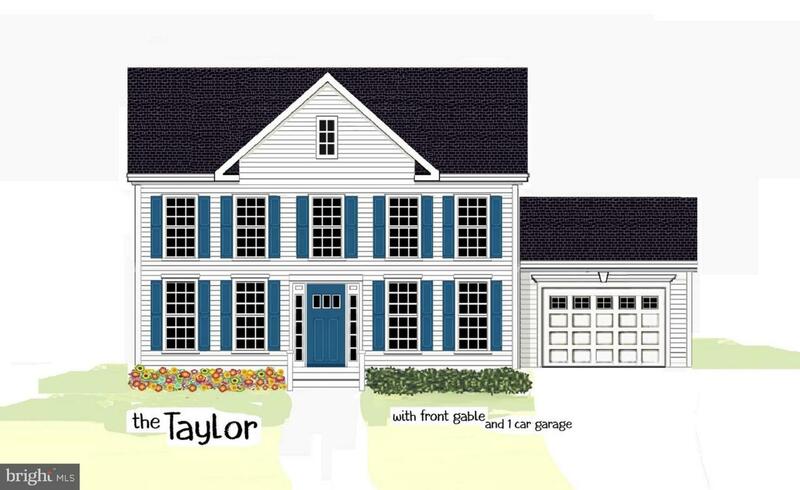 Hamlet Homes Introduces the Taylor Model in the amenity filled Lake Caroline community. There is no better way to live than to live new....new flooring, new lighting, new plumbing, electrical, new HVAC, new everything! We make it very easy for you, pick from our many available lots, pick your house plan and then we are set to build your home. Next we meet to pick your selections and fixtures such as flooring, cabinets, counter-tops, vanity's and even pick your vanity marble tops! Then picking your siding, shutters and front door color to truly make this home your own. Base price Taylor: 239,900 this home includes: front gable feature $3,000 and 1-car garage $12,800. Other options: lam hardwood floor entry & hallway (as shown) $400, kitchen island (as shown) $1,500 (w granite add $600), granite countertops $3,300, lam hardwood in family room or living room $850/per rm, glass shower door in master bath (as shown) $400, stainless appliances (as shown) $1,200, bay window on side living room $2,900, entertainment niche $1,200 end windows $500/per, 3-lite front door on rendering $550. Give us a call today to get this process started for you, we are currently booking April deliveries.